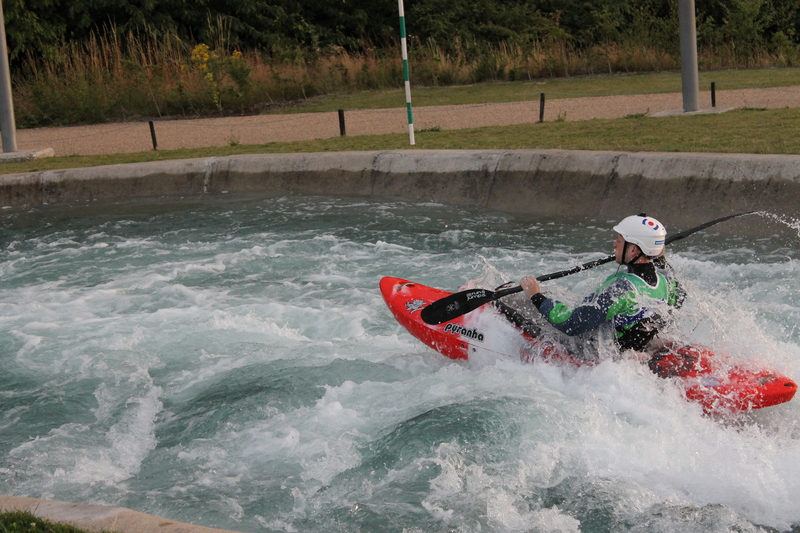 Last week i had my olympic assesment at the Lee Valley White Water Centre. I was slightly apperhensive due to the lack of paddling i’ve had this year and i needed a boat that was going to bounce me down the course safely and the right way up. The boss suggested the Pyranha Burn III so i fitted out the medium and got my kit together and i was off. We did an hour on the smaller course to warm up and as i expected the burn was probably a little bit too big for this. It was perfect for just getting from the top to the bottom but you can’t really play on any of the smaller features. Still i got a good feel for how the boat handled in moving water and it was a nice easy paddle before the assessment.